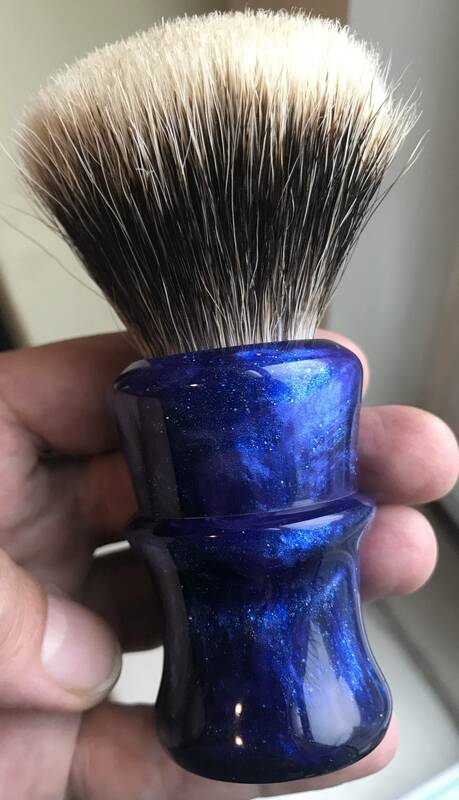 Anyone interested in trading a flawless Dec Washington B4 in Vastness resin for a dark amethyst? May consider other color handles or other artisan handles as well but must be a b4. Not looking to sell or any other trades other than indicated. Thanks for looking. Haha. Ain't that the truth. I almost sent him an offer for something he wasn't looking for. I still might! I have a handle from the same stock. Photos don't do it justice. It's gorgeous. Ok...so hunter skewled me on these handles. They aren't turned from stock, rather they are poured. Which, duh, makes perfect sense. Thaaaaats how he does it. Thx. TheHunter. Learn something new everyday. You’re right some really good offers but not the one I’m looking for. It’s ok there’s some beautiful work out there. Pork- show me whatcha got. What do you have to lose? Loot & Hunter- you’re correct this has to be seen in person to get the real effect. I find myself going into a trip staring at the damn thing.